It is that time of the year when Piedmont becomes popular especially among the world's wine lovers: the harvest. 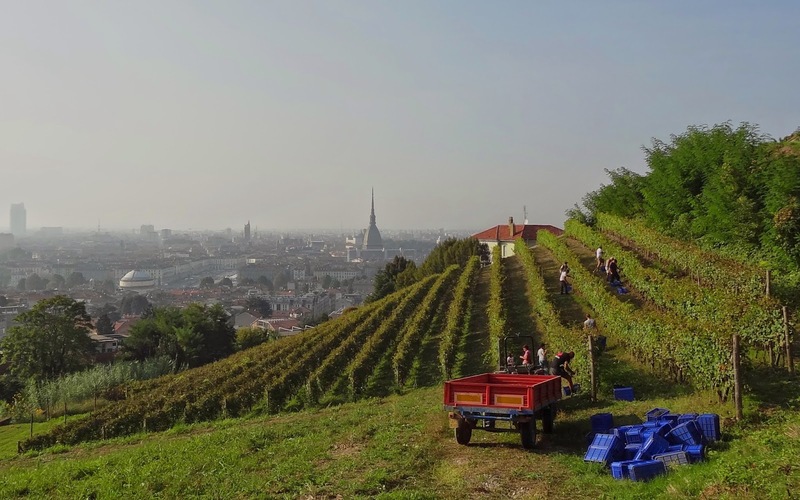 And Turin being one of the very few cities in the world to have a urban vineyard surely makes it a special destination! 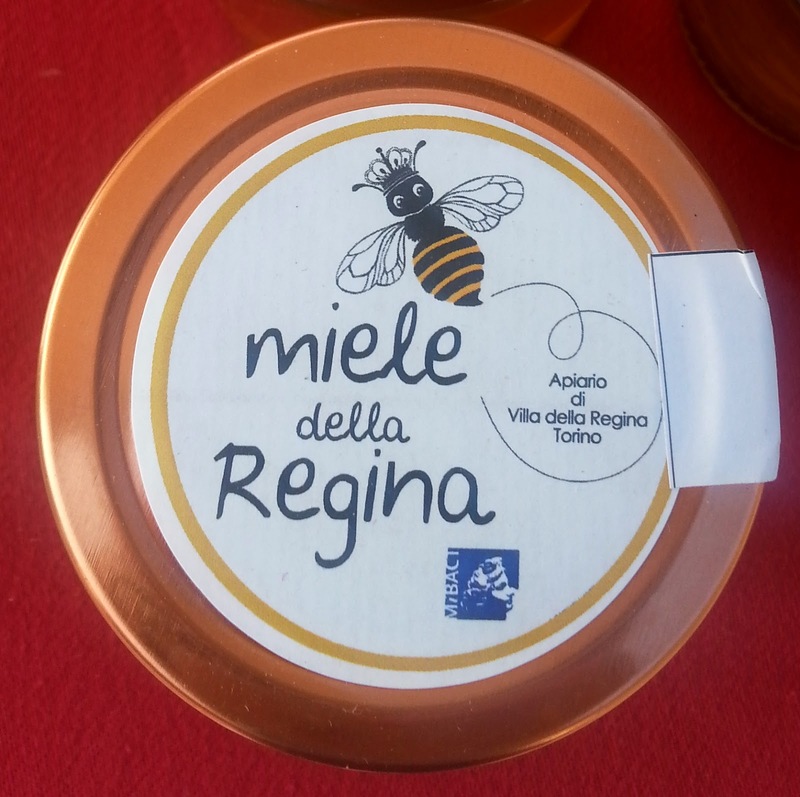 Last week it was harvest week-end at the Unesco World Heritage Site Villa della Regina or the Queen's Villa so we decided to go and take a peek. Villa della Regina was built in the 17th century as a private villa with its own vineyard, orchard, fountains and gardens following the model of the Roman villas. In the 18th century, Queen Anne Marie d'Orleans' daughter decided to promote an upgrading plan on the model of her native Versailles' Menagerie. 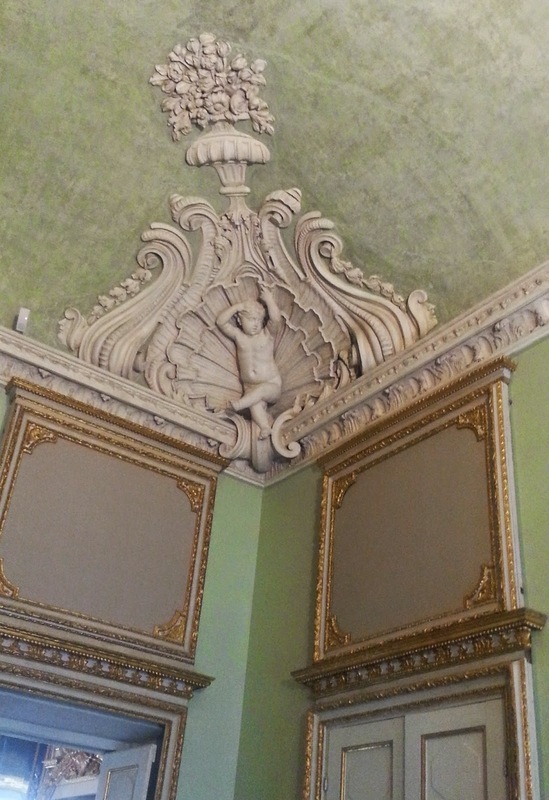 In 1713, the villa officially became the Queen's residence of the Savoy dynasty, this is when a major series of architectural and decorative upgrades were made to the building while when Queen Maria Antonia Fernanda made it her residence, further modifications that included the gardens where carried out. In 1868, King Victor Emmanuel II donated it to the Institute of the Army's daughters and the property was transformed into a school till its closure, in 1975. 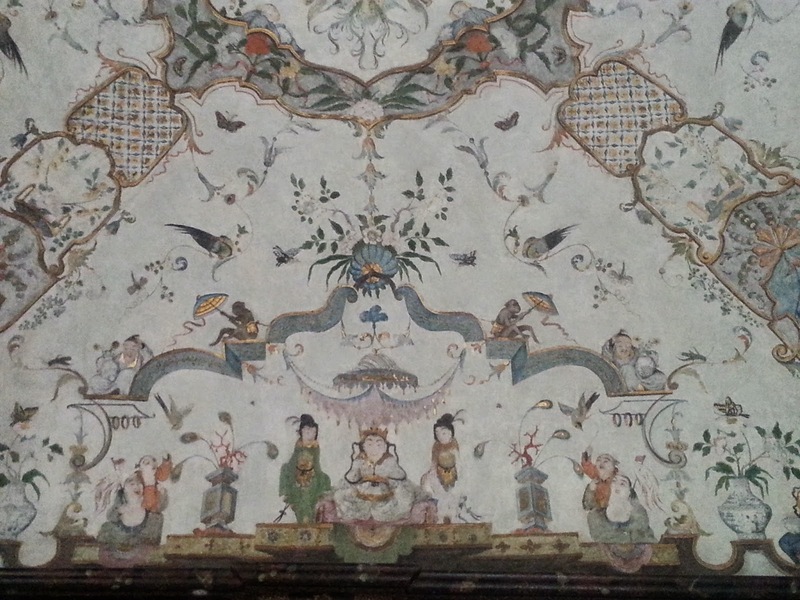 In 1994, the Italian government reacquired it and started its restoration completed in 2006, when the Villa reopened to the public. The restoration plan also brought to new life the vineyard whose management has been entrusted by the Piedmont regional government to the Balbiano Winery in 2008. On the last week-end of September. the vineyard was open to the public while the Balbiano workers were harvesting the Freisa grapes. 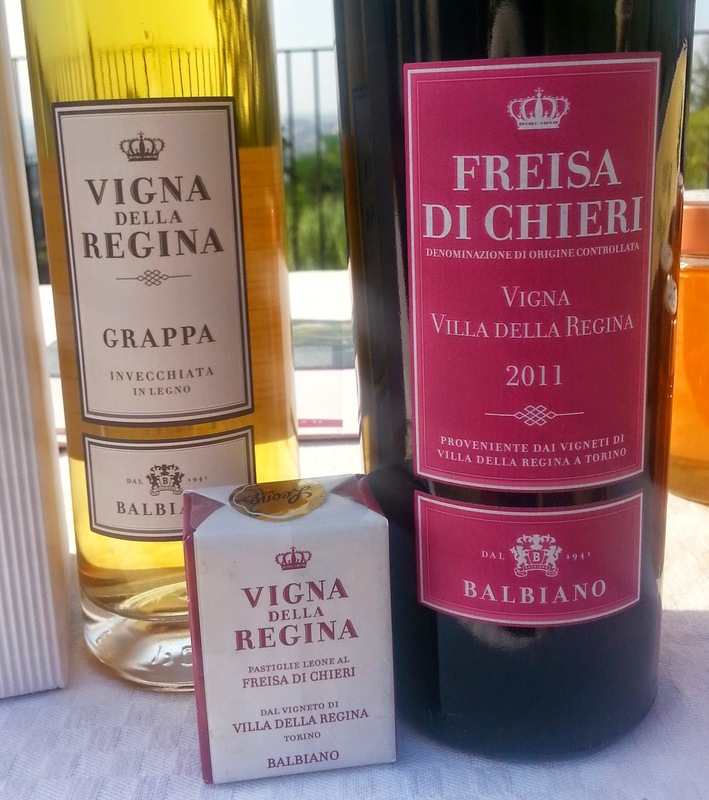 So we can officially say that Freisa is the true Turin wine made from the urban royal villa. - Freisa di Chieri a ruby red wine with purple hues and a cherry and raspberry scent, dry and wrapping flavor. 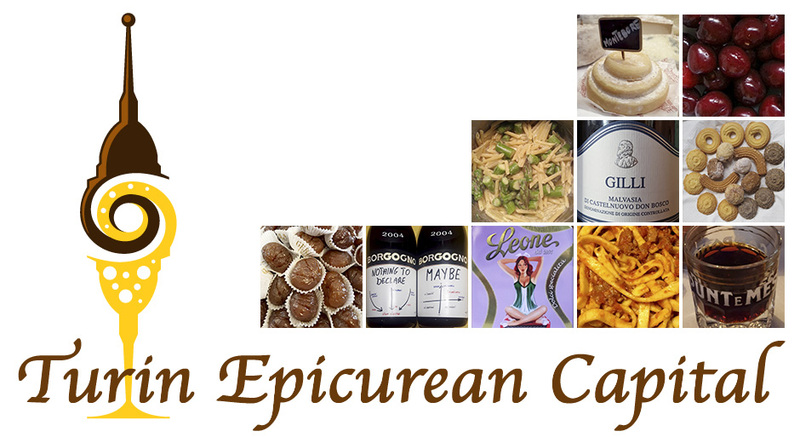 Perfect to pair with game, roasts and aged cheeses. - Grappa made from the rich marcs of the gently pressed grapes. Of complex scents and elegant flavor, it is perfect with chocolate and fine tobacco. After visiting the villa and admiring its stuccoes and original Chinese style cabinets and frescoes, after walking through the park and the vineyards rows during the harvest, we definitely got curious to visit the Balbiano winery and taste some of their Freisa variants: the sparkling rose', dry and dessert version, the still Freisa and the white one! One extra reason to come visit Turin: its urban vineyard at Villa della Regina, just 20min walking from Mole Antonelliana, its symbol, the building sticking up in all the pictures! The "I <3 Freisa" shirt is too perfect! Lucia, what a beautiful blend of history, gastronomy, architecture, and art. While I'm sure the Villa della Regina is beautiful in all seasons, I would love to see it when the landscape is just coming alive, or during the harvest. You mentioned that the production is small, but how large are the vineyards? WOW looks fantastic! I'm planning my day in Turin now, and this is on my "must visit" list!